We are typically open from 8am to 5pm. Yes, we offer Saturday Express Health at 39 East Ave in Pawtucket Express Care from 8am-4:30pm. No appointment necessary. Are there same day sick visits/or at what time should I call for a sick visit tomorrow? Sick visit avilable Monday through Friday at our Primary Care sites. Hours vary by location and provider. Please bring any previous medical bottles and records from former doctor’s office, Insurance cards, ID, and if you do not have insurance, paystubs or some proof of income to help you apply for a sliding fee discount. You will meet with our enrollment coordinators first for a registration appointment. Then, your first provider appointment is a meet and greet. Your provider may not be able to do a complete physical depending if patient has already received one that year, but providers go through past medical history, family history, etc. The provider may order some lab work for patient and/or send out any refills that are needed. Can I sign up for insurance here? What documents should I bring? Yes, we have navigators that are available to work with patients and guide them through the insurance application process. Please have the following documents: Photo ID, Pay stubs, Social Security card, immigration documents, etc. I don’t have insurance, do you offer any discount? We offer a sliding fee scale, but you must complete a form and provide proof of income and this will help determine if you qualify for a discount. I have a big balance, can I set up a payment plan? We can help patients set up a monthly budget payment plan, please call 401-312-5233. What is your appointment policy and How late can I arrive to my appointment? Our policy states that if a patient is 15 minutes, we reserve the right to cancel the appointment and to reschedule. Although, there are some circumstances when providers make an exception, which is determined on a case by case basis. Can someone else bring my child to their appointments? In order for someone to bring in your child, we must sign a parental consent form at the front desk giving consent for another person to bring in the minor to medical appointments. Can someone else bring my child for their physical/vaccines? 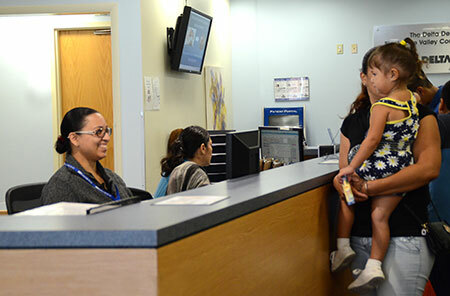 Providers request that parents are present when a minor child is coming in for physicals or due for vaccines. Are there Spanish speaking doctors? Are there Portuguese speaking doctors? Yes, we have providers that speak multiple languages and translators avilable upon request. We have many ways to help you take care of yourself and your family. If you can't find answers to your questions or any other information that you may need, be sure to call us at 401-722-0081.